We sent Bill an invitation to our wedding last year, not expecting him to come, but wanting to let him know that we would love to have him there, and he responded by sending us some prints of pictures he’d taken of us at the Jazz Age Lawn Party, with a note of congratulations written along the border that read: “Dear Matthew & Michelle, Congratulations on sharing your lives in marriage. 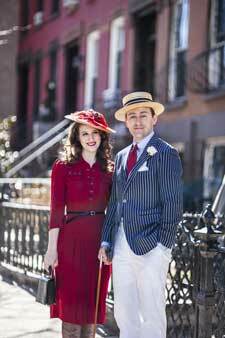 Wishing you all the happiness of life together and the pleasure of vintage dancing on Governor’s Island. What a lovely dream of dance. Thank you for all the grace and beauty of motion, dresses and period dance.” He didn’t have to do that, but he did. That’s the kind of dear man he was. 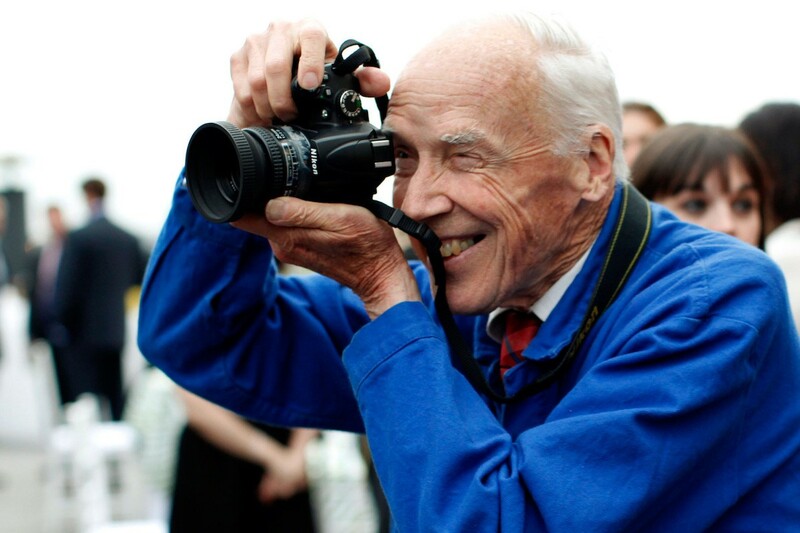 I will miss looking for his blue jacket in a crowd, and hearing Matthew whisper, “Code Blue!” which was our code that Uncle Bill had his lens on us so we better look sharp! We were lucky enough to be photographed numerous times by Bill and have our picture chosen to be in his New York Times spread about a dozen times. Each time was a thrill and we’ve kept all of the spreads in an album. 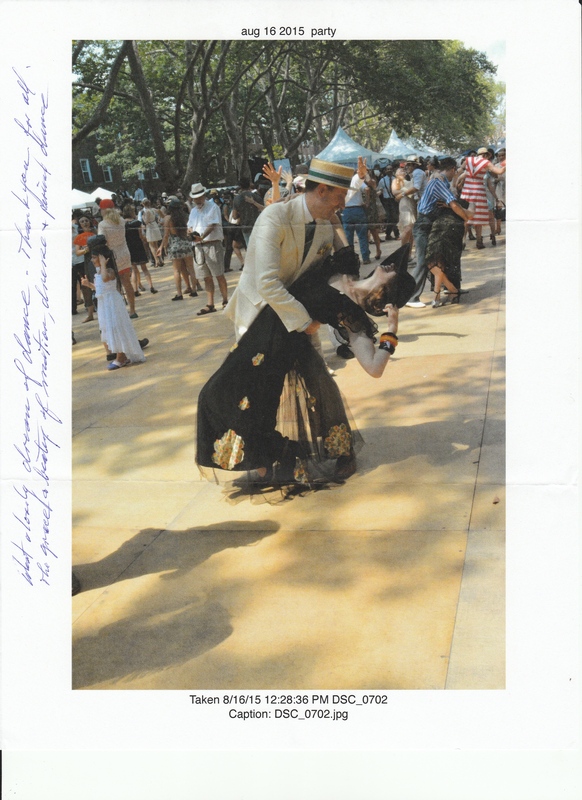 The biggest surprise of all was having a picture of me dancing with a friend chosen for the New York Time’s online and print retrospective of Bill’s work that was published after his passing. What a surprise and an honor! As Anna Wintour said, “We all get dressed for Bill.” We will all miss Bill and we will all miss getting dressed for Bill. I hope wherever he is there are cameras, bicycles, and lots of fabulously dressed people to photograph. RIP Uncle Bill. Love everything you wrote about “Uncle Bill”. He was definitely one of a kind and a keeper. RIP dear Bill. Thanks Mom! He was such a gem.